You will soon be able to play Call of Duty on your phones if a recent report is to be believed. The first-person shooter was announced in late-2018 and had a soft launch in some parts of the world. It was known as Call of Duty: Legends of War during that time. Recently, Activision went official with the title Call of Duty: Mobile and announced a public beta for Android and iOS phones soon. According to a report by Digit, Call of Duty: Mobile will be launched in India by November 2019. The publication quotes unnamed sources going on to reveal that the action title will be announced at Unite India 2019 which will be held from November 14 to 15. The festival is organized by Unity Technologies, best known for their game engines. The report states that Unity is tasked with the distribution of the game in India since it is built on Unity’s game engine. As for the beta access, Call of Duty: Mobile will be available for testers in India by July. Interestingly, sources also mention the backlash being faced by PUBG Mobile in India as the reason behind a bit of paranoia that might be affecting the launch of Call of Duty’s mobile title. 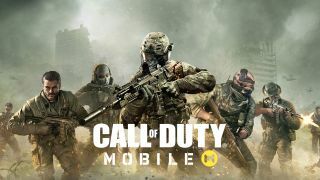 The mobile version of Call of Duty brings a lot of elements from the game’s long universe with playable characters such as Ghost, Price among others. In addition, the game went live with six maps which will be familiar to the fans of the franchise. They are Nuketown, Killhouse, Hijacked, Crossfire, Standoff and Crash. During the beta, Call of Duty: Mobile comes with four multiplayer modes- Free4All, Search and Destroy, Team Deathmatch and Frontline, along with a zombie mode. By the time the game is launched globally, it could also feature a battle royale mode as it aims to take on battle royale titles like PUBG Mobile and Fortnite.